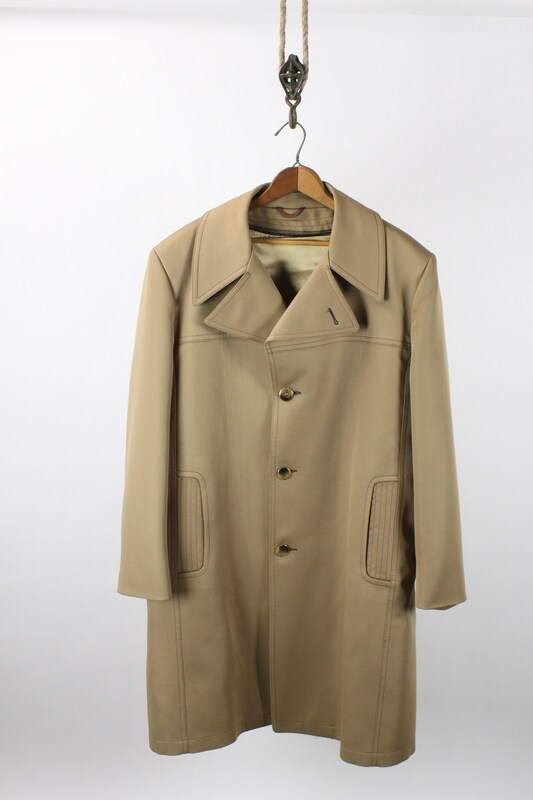 This coat is a hybrid of the two classiest coats the 20th century has to offer! 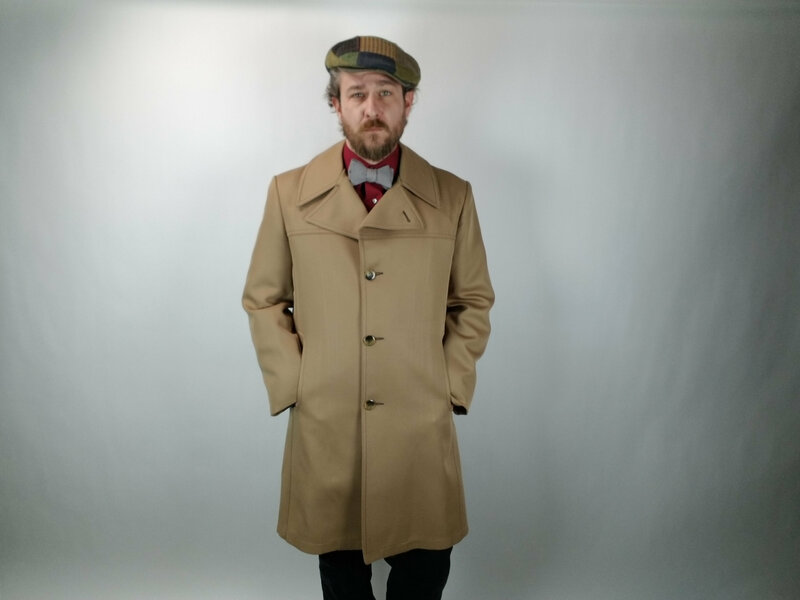 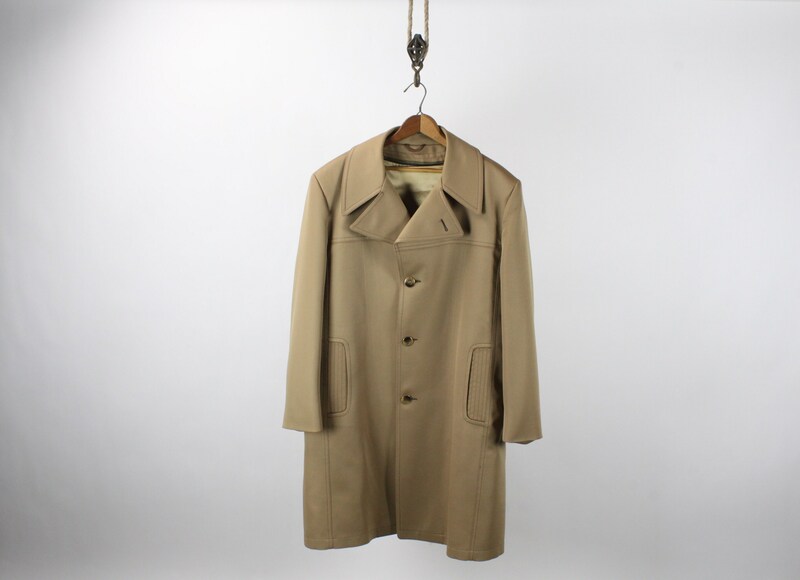 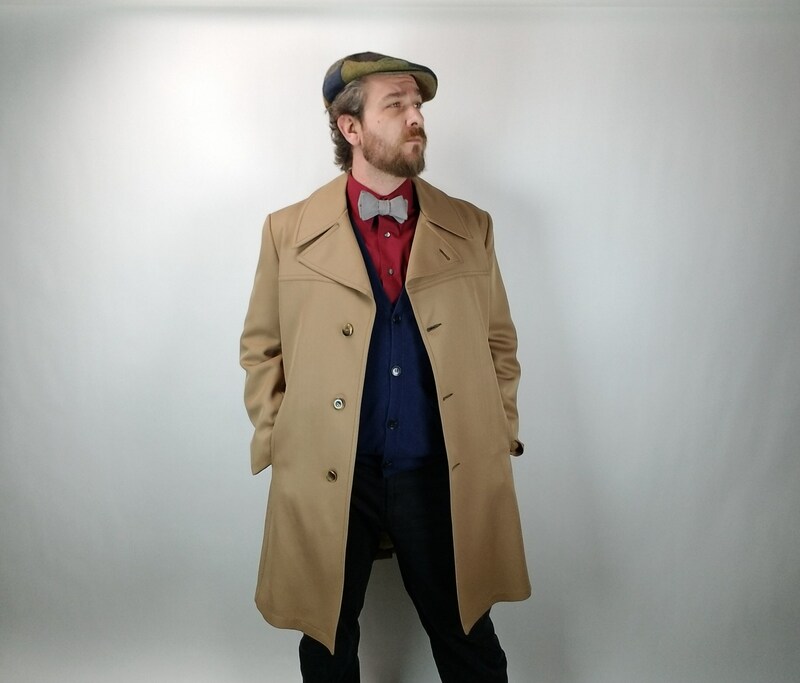 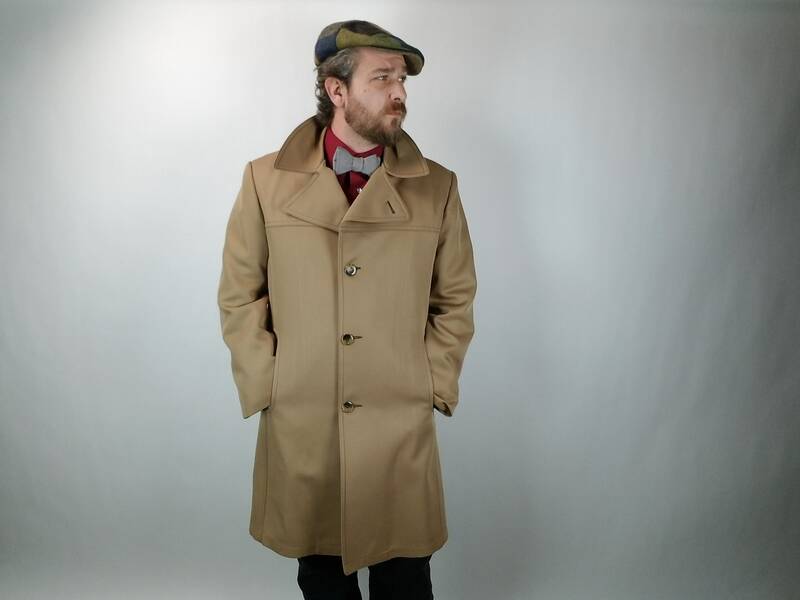 the shape & cut of this coat are of a classic Chesterfield style - While the collar, Exterior pockets and material all scream Trench coat! 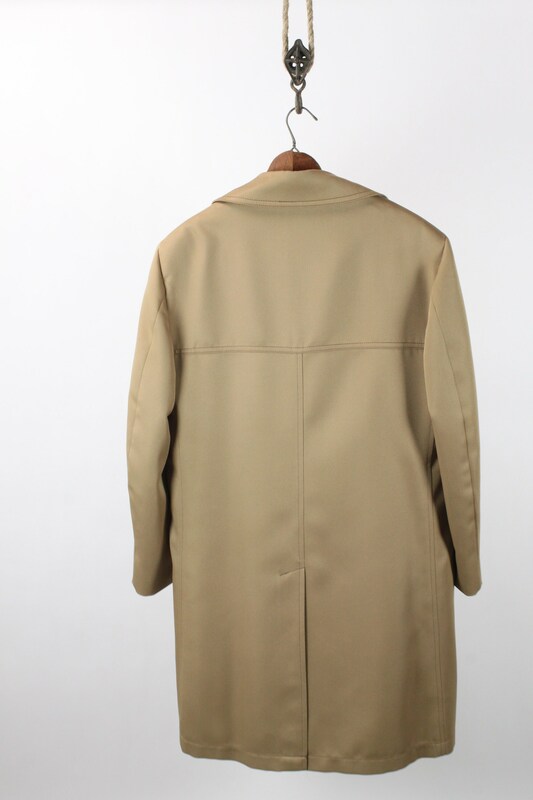 This coat is presented in the size US 42R and features a simple 3 button front closure, two exterior vertical welt pockets, full & removable lining, vented back and understated cuffs! 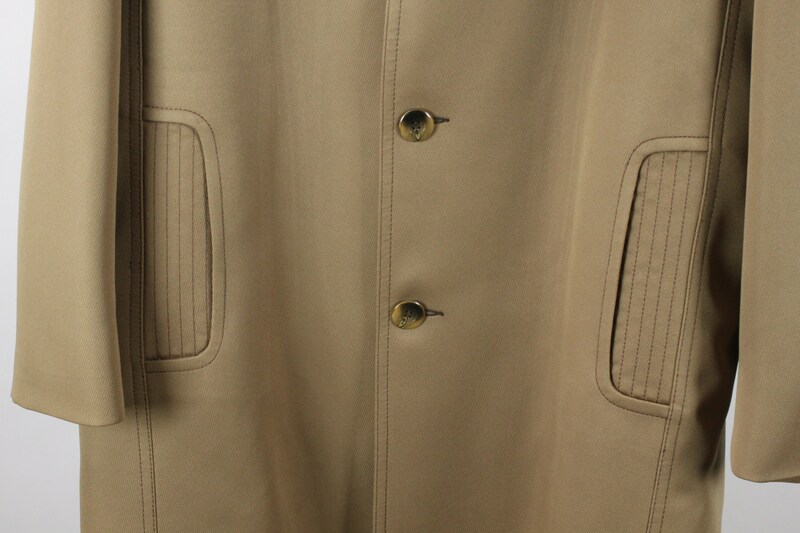 This jacket is made from 100% texturized polyester and is designed for all weather conditions! 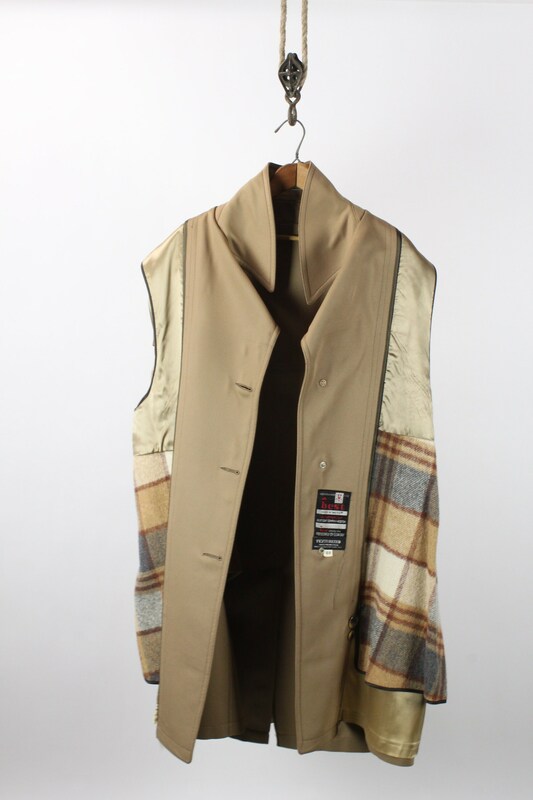 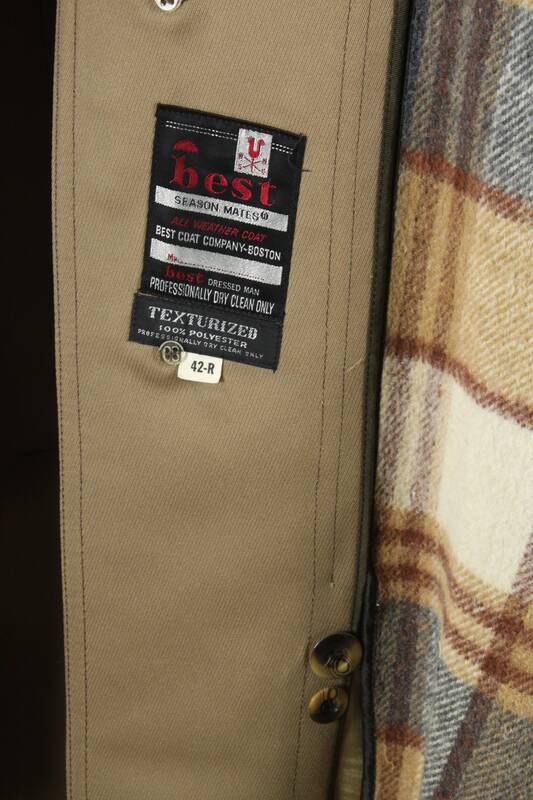 This coat was manufactured by Best Coat Company Boston, Ma. 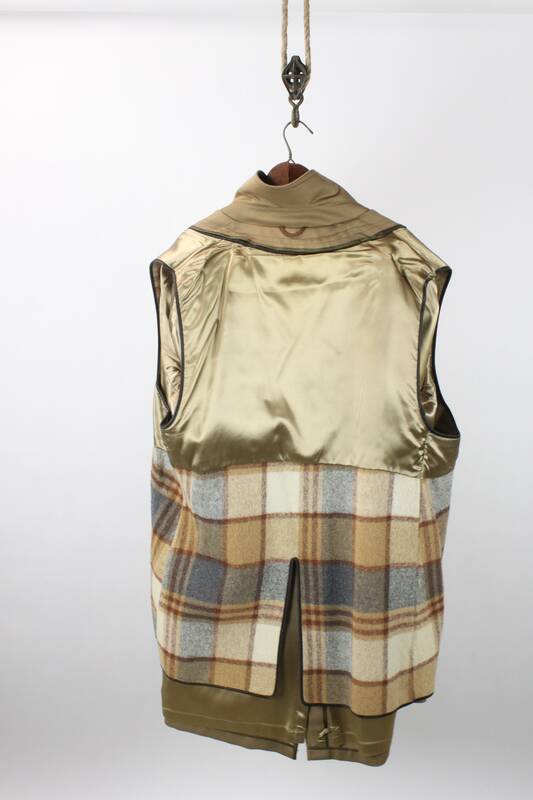 - Underarm - Hem: 27.5"